April 2018 - TSS Publishing accepted "Dress Rehearsal" and will publish it on Tuesday 15th May 2018. March 2018 - Winner of InkTears Short Story Contest 2017 with "Cyfannedd Fach"
July 2016 - Longlisted for Flash500 Flash Fiction. July 2016 - Shortlisted for first 500 words of an opening novel, Retreat West. June 2016 - Longlisted for The Exeter Story Prize. May 2016 -Won the Fresher Writing Prize with "Cyfannedd Fach", judged by Francesca Main and Madeleine Milburn. April 2016 - Longlisted for the Exeter Writers Short Story competition with two stories (withdrew one). April 2016 - On the longlist for the Flash 500 Flash Fiction competition with "Thirst". April 2016 - On the shortlist for the Fresher Publishing prize with two stories, "Cyfannedd Fach" and "Blank Walls". Stories will be published in their forthcoming anthology. April 2016 - Shortlisted for the Retreat West Flash Fiction competition to win a writer's retreat with '"The Freedom of the Sea". March 2016 - Longlisted for the Fish Short Story Prize 2015 with "Business as Usual at the Yew Tree". March 2016 - Shortlisted for the Magic Oxygen Literary Prize 2015 - 2016 with "Business as Usual at the Yew Tree". Publication of story in paperback anthology. In the top 10 shortlisted from almost 1,000 entries. March 2016 - Longlisted for the Flash 500 Short Story Competition 2016. November 2015 - Winner in Bath Story Fridays and Bath and North East Somerset Library Short Story Competition for "Les Danseurs Sur Glace" - performed by Actress Kirsty Cox to a full house. November 2015 - Honourable Mention for "Last Prayers at the Chapel" in Aestas Short Story Competition 2015 - published in paperback anthology. Available on Amazon. March 2015 - Longlisted for the Fish Poetry Prize, 2015 with "The House Beside the Lake" - 153 poems longlisted out of 1,432 poems submitted. 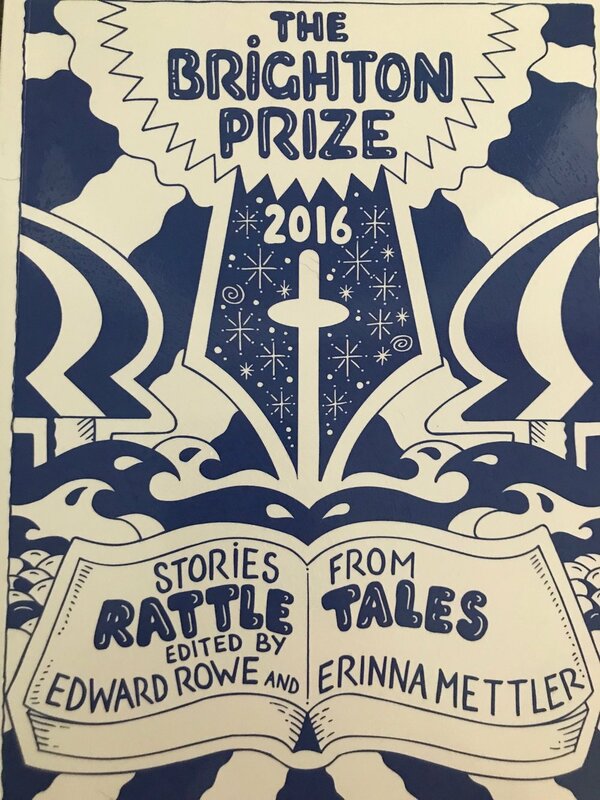 "The Freedom of the Sea" and "The Fox" were shortlisted in the Brighton Prize 2016 and are published in the anthology. Available in paperback. "Cyfannedd Fach" won the Fresher Writing Prize 2016, - "Blank Walls" was also shortlisted and both appear in the Fresher Publishing Prize Anthology. Available in paperback. "Business as Usual at the Yew Tree" shortlisted for the Magic Oxygen Literary Prize 2015 - 2016. Shortlist of 10 from almost 1,000 entries. Published in the Magic Oxygen Literary Prize Anthology -available in paperback.